It’s a question I’ve asked almost every single student I’ve ever trained at almost every single belt test that I’ve ever run. To give credit where credit is due, I stole the question from my own Sensei. It’s a question that a good sensei should always be asking his students. Over the years I’ve encountered a pretty wide variety of responses. Some are obvious – almost cliche, even. Others are humorous (sometimes intentionally, sometimes not). I’ve even had one or two that are downright weird. Martial arts training can provide an astonishing array of benefits. I tell my students that there’s no right or wrong answer – only your answer. However, that’s not quite true. There is a wrong answer. You see, what you get out of the martial arts is largely dependent upon what you put into it – just like most things in life. Almost all of the benefits I’ve heard in the past can come from martial arts training. But if you’re not training correctly, they won’t. 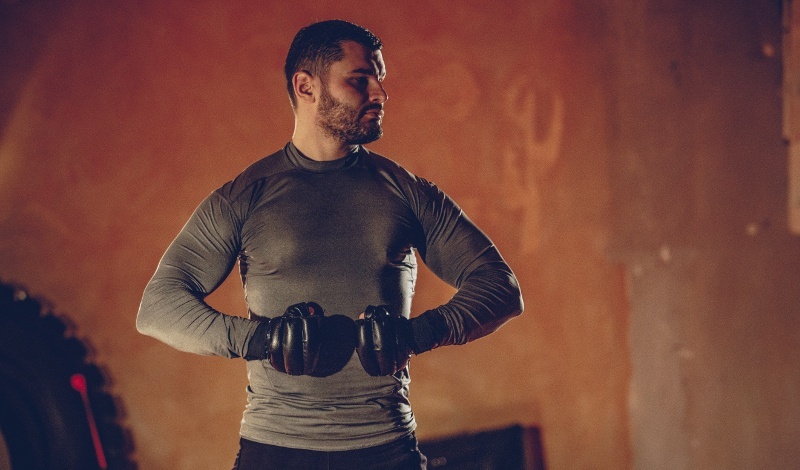 Here are eight benefits of martial arts training – and how to make sure that you do get those benefits. This seems like the obvious one, right? I mean, that’s the reason the martial arts exist in the first place, right? I hate to break this to you, but when it comes to practical self defense not all martial arts classes are created equal. Step back and re-read that sentence. Notice what I didn’t say. I didn’t mention styles at all. I said classes. The choice of words was deliberate. There are a lot of different martial arts styles out there, and almost all of them have some kind of utility in a fight. If they didn’t, nobody ever would have trained them in the first place. But not all classes are run in a way that provides anything useful for practical self defense. The easiest example is certain flavors of Tai Chi. All of us in the martial arts community are well aware that Tai Chi is an ancient Asian martial art. But there are places where Tai Chi is taught only as a low-impact exercise regimen, and nothing of the martial arts side is ever even mentioned. There are Tai Chi students out there who don’t even know that it’s a martial art. Practice of timing, distance, and power – not just motion. Martial arts can be great for physical fitness and overall well being. Or it can do nothing for you at all. The main key is intensity. Are you actually getting up and doing something in your class, or are you just sitting around? A martial arts class that features too much talking and not enough doing won’t do much for your physical fitness. Don’t get me wrong – you can still learn a lot about practical self defense in a class like that, and I know some great Senseis who run classes that aren’t very physically intense. But if you want to get in shape, you need some intensity. And no matter how intense your class is or isn’t, you can make it much more intense. As noted above, it’s all about how much you put into it. So give it 100% while you’re there. As noted above, martial arts can be a great form of exercise. Don’t take my word for it – check out this calorie chart. That’s right, a 205lb man can burn over nine hundred calories per hour doing martial arts training. That’s right up there with running, soccer, and football and higher than hockey, cross country skiing and tennis. If you’re out to lose weight, exercise is important. But it’s not everything. The running community has a saying: you can’t outrun a bad diet. The meaning is that if your diet is terrible, it doesn’t matter how much you run. You still won’t lose the weight. You can’t out-fight a bad diet, either. The martial arts can give you great exercise. But if you want to lose the weight, you need to put down the donut, too. And the cake, and the cookies and the ice cream. Maybe try some vegetables and the occasional fruit instead. Let’s be blunt for a moment. There’s only one way to gain real confidence: do something hard and succeed at it. Everything else is the fake kind that’s worse than having no confidence at all. Martial arts training can help you develop a lot of real confidence. But in order for that to happen, you must be training toward difficult goals. This can take a lot of forms because people are different. What’s difficult for you may be easy for your classmates – and what’s easy for you may be difficult for them. I’ve had students come in to class before and plop down at 90% of a full split on the first day. Focusing their goal on flexibility is silly – they’ve already got a ton of it. That doesn’t mean they should get complacent – merely that we should find something else for them to work on. Strength or form, perhaps. On the other hand, I quite frequently have students (mostly adult males) who come in with almost no flexibility at all. Stretching with defined, achievable goals can be a huge benefit for these students – and achieving those goals can provide the added benefit of a great confidence boost. If you want that confidence boost, set realistic but difficult goals for yourself – and then set out to achieve them. Here we go getting blunt again, but the only person who can give you self discipline is you. Your sensei can impose external discipline. And if you’ve got a nugget of self discipline in there, he can help you nourish it and grow it. But all the help in the world will do you no good if you don’t tend to it yourself. Class offers you plenty of opportunities to cultivate your own self discipline. Use them. Push yourself to stay focused when others are getting distracted. Drive yourself to keep working when your fellow students are getting lazy. The dojo can be a fantastic place for making friends! I’ve made several lifelong friendships in the dojo. I even met my wife there! Get to know the people you train with. After all, you’re entrusting your safety to them – and they’re entrusting theirs to you. Most dojos are really great about this. Almost every dojo I’ve ever worked out with has had a very close bond. However, there are two important things to be wary of: cliques and bullies. Like any other gathering of people, the students at a dojo can very easily fall into cliques – especially at bigger dojos. Small groups of people spend all of their time together and, usually without malice, are reluctant to take the time to get to know “outsiders” and let them into the clique. Or, more commonly, the higher ranked students form into an “inner circle” of sorts that the lower ranked students can’t penetrate. Some dojos, though, are even worse. The students there are honest bullies – indeed, they’re often drawn to the martial arts because they’re bullies. The students think they’re big and tough and they often feel the need to go around proving it – to themselves, to outsiders, and, unfortunately, often to new students. Thankfully this kind of dojo is rare. They tend to run off new students who don’t fit the mold very quickly. As a consequence, they don’t stay in business very long. If you find yourself in either kind of dojo, be the shining example. Take the responsibility on yourself to get to know the new guy and welcome him into the group. Or be on the lookout for the little guy who’s getting pushed around. Very often all it takes is a little nudge from one person to break outside of either the clique or the bully formula and completely transform the group – for the better. No matter what you do, don’t forget to have fun in the dojo! The martial arts can – and should – be one of the most fun things you’ll ever do in your life. Finding the right sensei and the right group to fit your personality is important. But your own mentality and state of mind is even more important. Relax. Enjoy what you’re doing! There’s no reason you can’t be serious and have fun at the same time – we do it all the time in our dojo! What benefits are you trying to get out of your martial arts training? Are you doing everything you can to make sure you get the most from it? Last week I talked about why some schools break a lot of boards, why some schools don’t break boards at all, and why we’re somewhere in between. This week I’d like to talk a bit about breaking itself. There are a lot of myths out there about breaking. Many of them are perpetuated by martial artists – sometimes nefariously, but most of the time out of ignorance. While you can theoretically pick up anything you’d like for a breaking demonstration (it doesn’t even have to be wood!) most schools use small variations on the same basic concept. Schools that do serious breaking mostly use some variation of a 12 inch by 12 inch white pine board, around one inch thick. That’s an approximation because most martial artists will just go to the hardware store and by standard lumber (it’s what I do). Standard lumber doesn’t come in perfect one inch increments because it shrinks after it’s cut. What I usually do is buy a long 12×1 board, in whatever length is most economical on the day I’m at the store. Then I’ll get them to cut it into 12 inch sections. However, a 12×1 board is usually actually 11.75 inches by 0.75 inches, or very close to that. Also, having it cut into 12 inch lengths usually means that the last one is closer to 11 inches. I buy white pine. As I mentioned last week, some schools use even softer wood such as balsa (thankfully this isn’t very common these days, as it’s too easy to have it embarrassingly pointed out during a demo). Don’t buy hardwood like oak, cherry or ash. It’ll break your hands. Just as importantly, do not buy pressure treated lumber (more on that in a minute). A standard 12 by 12 white pine board takes about 1100 newtons (roughly 250lbs) of force to break. Because wood is a natural material, that varies a bit from board to board. A rule of thumb generally taught to martial artists is that breaking one board is equivalent to break one rib. This is, sadly, one of those incorrect myths taught to most martial artists by their instructors and never questioned. Safety studies done by the Society of Automotive Engineers show that it takes about 400lbs of force to break a rib. That varies a bit depending upon which rib (the smaller ones at the bottom of the rib cage break easier than the thicker ones at the top of the rib cage). 250lbs might crack one, but it’s unlikely to break one. 250lbs isn’t that bad. The average adult male in the US ways just shy of 200lbs. It doesn’t take super great technique to come up with another 50lbs of force – but it does take good technique to properly protect your hands, feet, or whatever else you might be hitting with. That’s why I don’t have brand new students doing board breaks, whatever marketing advantages might come from it. I don’t allow students to do breaks until I’m comfortable that their form is sufficient to prevent injuries. For simple breaks the board is placed or held between two supports. The first break I have most students do is with a downward hammer blow, so the board is usually placed on two cinder blocks. The blocks are situated in such a way as to hold the board steady but with the maximum distance between the two blocks. For breaks that use techniques such as a punch or a kick the board is usually held by one or two people, but in a similar manner. The arms are posted strong on either side of the board, with the minimal amount of hand coverage necessary for grip. Either way, this represents the “width” of the board. The wider the board is the easier it is to break. If you’ve ever snapped a stick over your knee in the woods then you’ve likely discovered this for yourself. Going wider than 12″ results in boards that are ridiculously easy to break. Going less than 12″ wide can result in boards that are very difficult to break. The last dimension is the height of the board. For adults, I use standard 12″ height boards. For children we go smaller – 10″ or 8″. Some schools go as low as 6″ or even 4″ boards. My personal opinion is that if the child is young enough to need a board that small he probably shouldn’t be breaking anyway because his bones are still in development. Even with the older children, I do less breaking than I do with adults – and I don’t do all that much with adults. One final trick that some schools play is to bake their boards or bricks before they break them. Yes, bake in the oven like a cake. Baking the wood or brick removes moisture which makes it much easier to break. This trick is done with bricks far more often than with wood. From a distance you can’t tell that the brick has been baked – unless you see a giant puff of powder when it’s broken. On the flip side, never break a board or a brick that is wet! That reinforces the material and will very likely break your hand or foot – especially if it’s a brick! Get breaking materials that have been kept dry and be sure to keep them dry before your breaking session! For the same reason, avoid pressure treated lumber and get only the untreated variety. The chemicals they treat it with will retain a lot of fluids (not water but chemicals) in the wood and make it much harder to break. I once witnessed a belt test where the student had been assigned to purchase his own boards and he absolutely could not break the board. The instructor later pointed out that it was pressure treated, and that was why. Above all, if you’re going to do any breaking have somebody around who knows what they’re doing – and even then, be careful. It can be fun. It can bee a good way to prove to yourself, and others, that you’re capable of generating a lot of power in your blows. But if you’re not careful it can be a short road to a serious injury. First, take your curriculum and divide it into cycles. Typically, three cycles are used: Beginner, Intermediate, Advanced. Typically, each cycle lasts a year. In our case, however, with a three and a half year minimum to black belt standard, the Advanced cycle was a year and a half long. Ideally, each cycle gets its own class. So in our case, a beginner class, an intermediate class and an advanced class. Unless you don’t have enough students – and then you can sometimes get away with collapsing multiple cycles into one class. This is undesirable, because it negates some of the advantages of a rotating curriculum. There are some serious advantages to this approach – and they’re real. First, everyone in class is working the same material. Thus, breaking off one group (say, low belts) to work on one area while another group (say, high belts) works on another is minimized. You can also avoid spells where you have one or more students sitting around watching while higher ranked students do something different. Everyone stays on the same cycle, so students have the ability to help each other as well. After all, they’re all studying the same thing. And everyone belt tests at the same time – typically at the end of a quarter. So you don’t have to run belt tests for one student one month and ten the next. But there are some down sides as well. For the most part, supporters of rotating curriculums are correct: there’s very little in an intermediate cycle that truly has to come in order. Is it really a big deal if someone learns Kata 4 before Kata 3? Usually not… except in one important case: brand new students. In a tradtional, non-rotating curriculum, the white belt kata (to take one example) is just about as stupidly simple as it gets. In fact, most styles have a variation of the same kata as their beginning kata. In our school, we call it Basic Kata 1. Traditional Shotokan schools call it Taikyoku Shodan. In other schools it goes by other names, and sometimes it varies slightly – but all of them are essentially a combination of nothing more than down blocks and punches. There’s a reason the beginner forms are so stupidly simple. They’re for beginners. A typical white belt coming in off the street has an awful lot of new information dumped on him very quickly. He needs time to process it all – and he doesn’t need too much dumped on him all at once. The issue isn’t just forms, either. White belts typically need to learn quite a bit of basic techniques before they’re really ready to follow everything else going on in class. Stances. Basic kicks and punchs. Breakfalls, if your school does mat work. Dumping them straight into techniques that were originally designed for a 3rd or 4th belt level student right on day one is rough. Yes, it can be made to work – I’ve done it, many times. But it’s far from ideal. White belts often lose out in another way. What happens to a student who starts halfway through a mini-cycle? When the next belt test comes around, he’s just plain not ready. But then he has to waith through an entire second cycle before he can test. I’ve had a lot of students put up with this – but make no mistake, that’s exactly what they’re doing. Putting up with it. It’s not fair to them, and they know it. And as an instructor, I’ve always felt it, too. There’s another group that often loses out: senior students making the jump from your last underbelt to black belt. Rather than having a few signature items that are designated as “black belt material” – maybe a special black belt kata, maybe a few other things – they’re just learning something at random (based on their start date) as their final techniques. It takes out some of the magic. But most of all, my issue with it is that it’s a system designed for teaching large classes with a small number of instructors – and that’s exactly opposite of where I want to take my classes. I run small classes, deliberately capped, with maximum student/teacher ratios and maximum class sizes strictly enforced. I like to give individualized attention to each and every student. And I like having a curriculum where each step feeds into the next step. Is it more work to teach this way? Yes, absolutely. I understand completely why other instructors have chosen to go with or stay with a rotating curriculum. But I believe the results are worth the extra effort. Madison Martial Arts Academy is not a “Black Belt School”. Most students who enter our dojo will never wear a black belt. Even fewer will actually make it “on time.” And even that phrase, “on time,” means something different when the minimum time to black belt is three and a half years rather than two. Be handed a belt simply for showing up to a sufficient number of classes. Be handed a belt simply for writing us a check. Be awarded a belt when you’re not capable of doing the techniques required for that belt. Be awarded a belt when you’re not capable of performing at the required level of proficiency. Be forced to sign a contract that will keep you paying for our classes long after you’ve lost interest in attending them. Be hounded into endless “membership upgrades” with little or no extra value. Be surrounded by 30 other students with only one instructor. Have your individual needs ignored while you’re spoon fed cookie-cutter instruction. Be surrounded by “black belts” who never workout in class anymore. Be confused by hidden or obfuscated prices. When you join a class in our dojo, be prepared to work hard. Be prepared to sweat. Be prepared to think hard and to study. That doesn’t mean we won’t have fun – we will, both during class and outside of it. But we expect our students to come prepared to learn and to train and to take that learning and training seriously. We don’t award belts just for showing up. Every belt has a minimum required time at the previous belt level. Most students who come to class and work hard won’t have trouble earning their next belt at these minimum times. But some students will take longer, even if they’re working hard. Some students have physical or mental challenges that will require even more effor than normal for them to learn the material. We work hard with these students to help them – but we won’t water down the requirements for them. Instead, we want them to know that when they finally reach their next belt rank, they’ve earned it. We don’t hide our prices. They’re right up on our web site. When you walk in the door, you know what you’ll be paying – and as long as you stay current, your prices will never go up. Can you spend more money on gear, equipment, and accessories? Sure. Do you need to? Not at all. I trained for four years (until well past my first degree black belt) with one gi and one set of sparring gear, and you can, too, if you’re tight on money. We don’t have “membership” upgrades because we don’t have memberships. You pay for the classes you take – period. Not taking a class? You don’t pay. Need to take a month off because life got in the way? You don’t pay. Our class sizes are strictly limited based on the number of instructors available. In our dojo, you won’t walk in to a class with thirty students and one instructor. We maintain a low student/teacher ratio to ensure that you get the individualized attention you need. And we’ll modify the curriculum to suit individual physical needs. That doesn’t mean you’ll work less hard – it means that we’re going to help you figure out what “working hard” means for you. Our curriculum is a serious martial arts curriculum. Based in karate, it also incorporates elements of kickboxing, jujitsu and many other arts to provide a complete, balanced approach for practical self defense. It’s the real deal – not playground stuff. So we might get a little picky about who we choose to train with. We can choose to say farewell to students who are disrespectful, who won’t work hard, or who will misuse and abuse the knowledge we’re imparting – and we have. At the same time, we like to have fun – a lot of fun. We like to get to know our students personally, both inside and outside of class. We believe in real communities – something sadly lacking in our modern society. Our students help each other on the dojo floor, but also in real life when the occasion calls for it. Or, when times are better, we like to just have fun together. Our classes are taught by instructors who are continuing to workout themselves – and continuing to expand their knowledge, each and every day. We do it because we love it, and we hope to share that enthusiasm with our students. If you’re ready to work hard, to come in prepared to study and think, to learn some serious martial arts, be a part of a community, and have a blast and get in fantastic shape while doing it, then you might be a good fit for one of our programs.